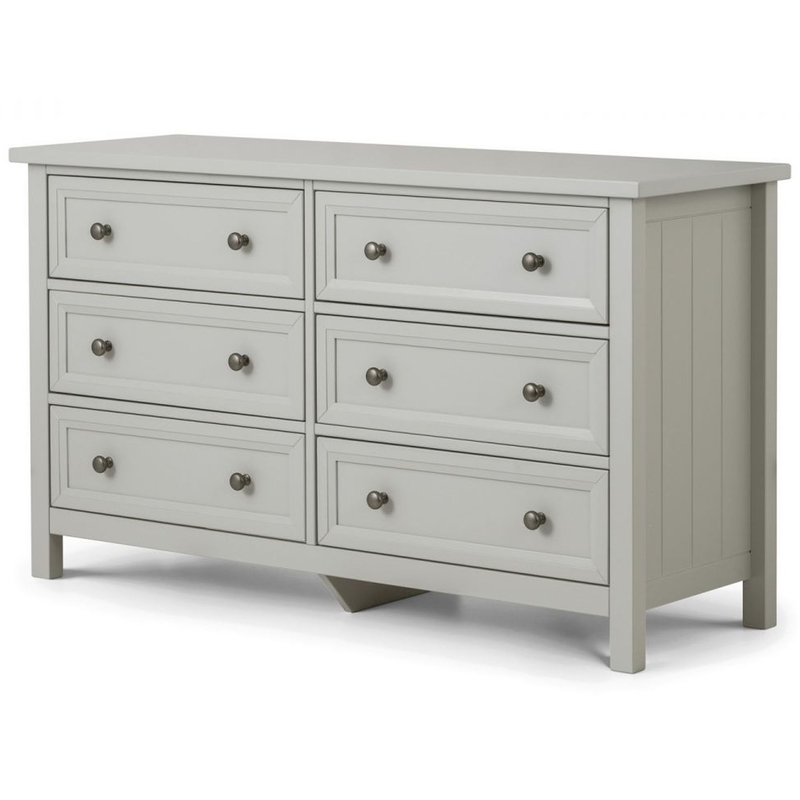 This is a beautiful wide chest of drawers which is sure to stand out and impress. It'd fit magnificent in any home because of its contemporary style. The modern design is complemented by a Dove Grey Lacquer finish. This chest of drawers would fit incredibly well alongside the rest of the Maine collection.